ALL AGES, GENDERS, AND SKILL LEVELS WELCOME! There will be three main instructors as well as a few of our dance team members available to assist. 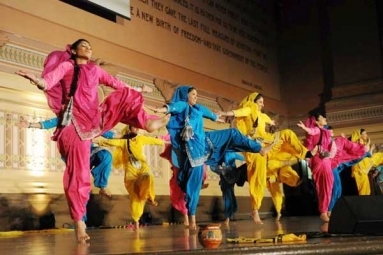 We will begin by teaching basic Bhangra footwork and moves and then put them together to teach a short segment. There will be both basic and advanced versions of the choreography to accommodate varying levels of dance experience. During the remaining time, participants will have the opportunity to record what they’ve learned. All ticket purchases will be processed through Venmo. Prices are $7 for an individual ticket and $10 for a bundle of two. So bring a friend to receive a discount! Who is DCBC? 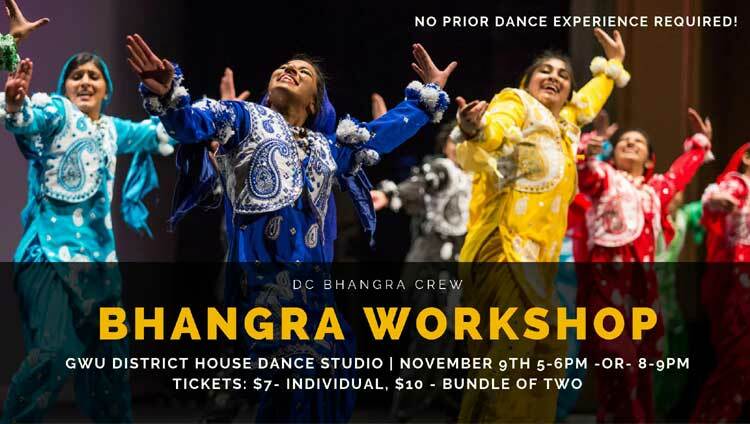 We are an all-female Bhangra dance team representing the DC Metropolitan area. We are a highly active group that performs at local events in the DMV, competes across the United States, and works alongside local businesses and other non-profit organizations to serve our community. Check us out on Facebook @DCBhangraCrew! This event is a fundraiser to allow our team to compete this upcoming season. If you can't make it, but would like to donate, please Venmo @dcbhangracrew. Any amount is appreciated!